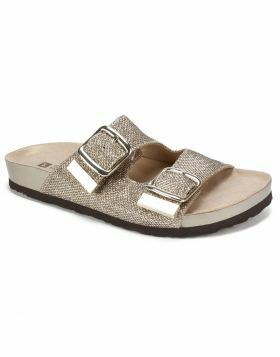 Let us be clear about the fun fashion factor of the Hilda slide sandal by White Mountain shoes. 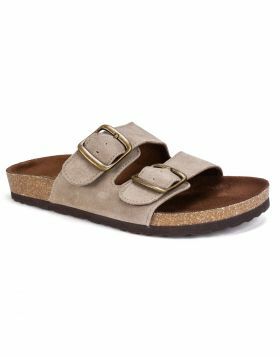 Have some fun with the clear adjustable double strap style featuring contrast piping at the edges and the legendary molded suedette footbed with heel cup for the most comfortable fit. 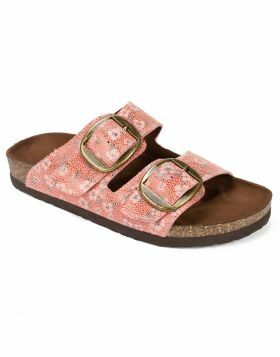 Let us be clear about the fun fashion factor of the Hilda slide sandal by White Mountain shoes. 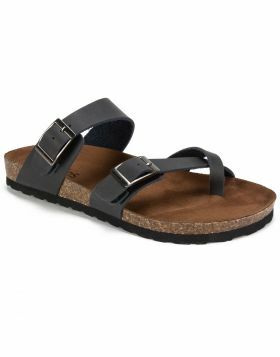 Have some fun with the clear adjustable double strap style featuring contrast piping at the edges and the legendary molded suedette footbed with heel cup for the most comfortable fit. Heel height: 1 inch.